Oh no! 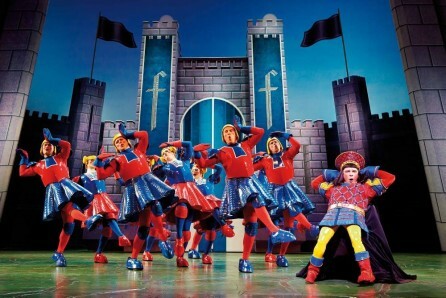 I hear you cry – not another bloody musical based on a film!!! above – the original cast including Amanda Holden who left after announcing her pregnancy. below – Kimberely Walsh who took up the role on the 7th of October. 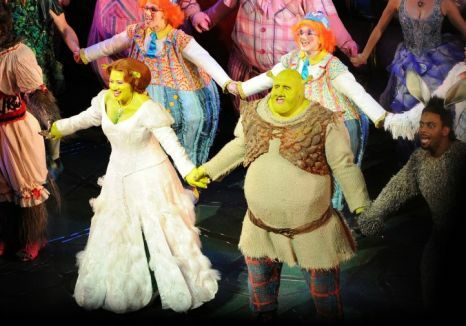 No matter what you think about Amanda Holden since her rise to fame as a talent show judge, but her background is in musical theatre and by all accounts her run in Shrek was a successful one. 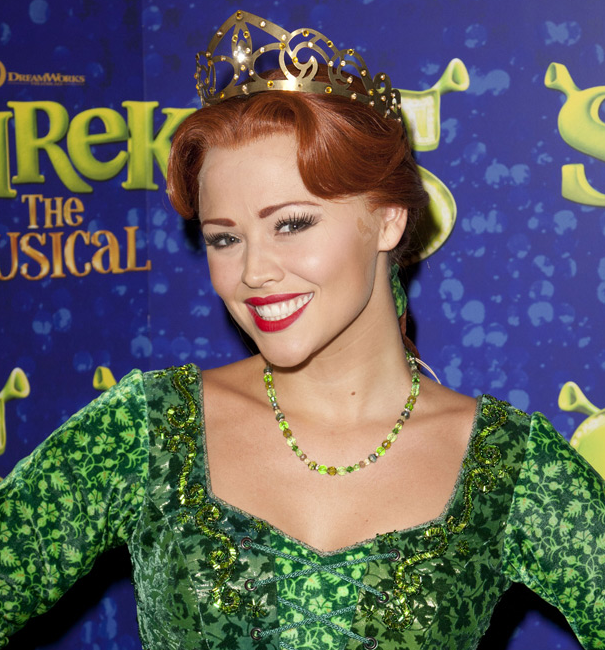 Now to Miss Walsh, you must admit that she brings a lot of baggage to this, and if the first night scramble, when her Girls Aloud bandmates attended is anything to go by, it might well take a lot to see beyond the publicity to her actual performance in the role. 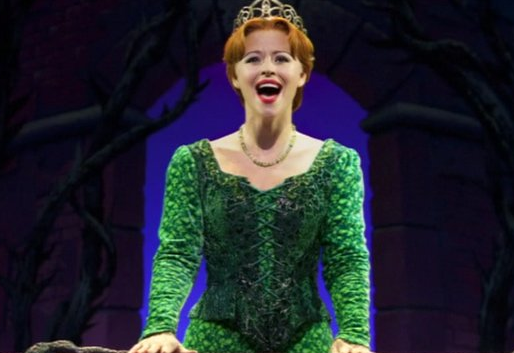 Well give the girl her due she can really sing – it’s not exactly the most taxing role and she was a bit emotionless at times but she managed to hold her own and do a good job. 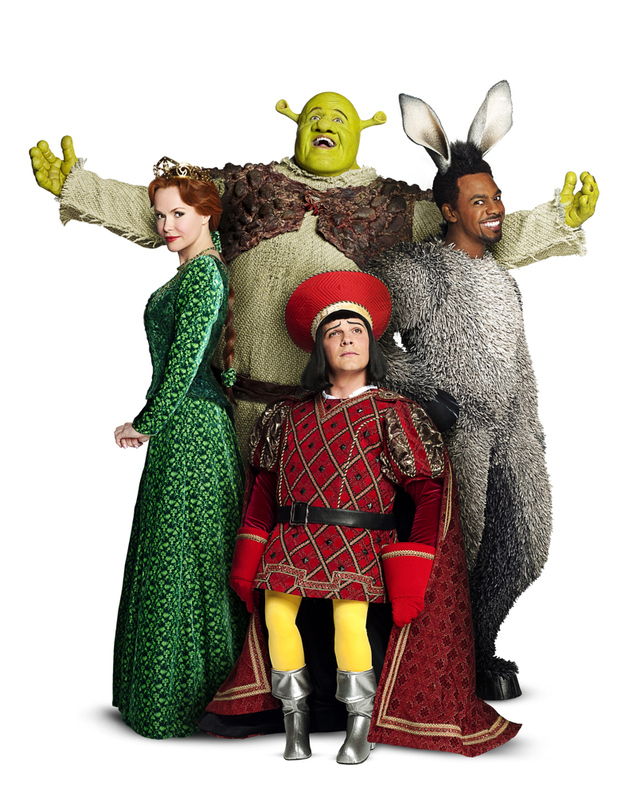 Shrek The Musical is everything you expect from Disney, the sets are huge and impressive and its large cast are of a high quality. 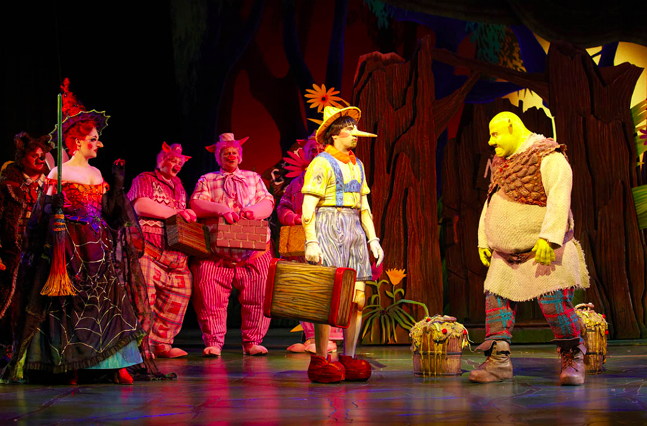 Nigel Lindsay’s Shrek is entertaining and impressively he manages to keep up Shrek’s Scottish accent even when singing. 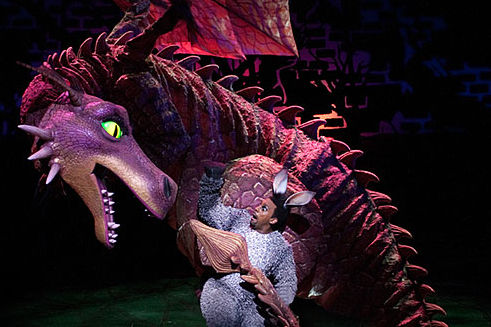 There’s plenty here for adults and children alike with jokes cleverly pitched at both. 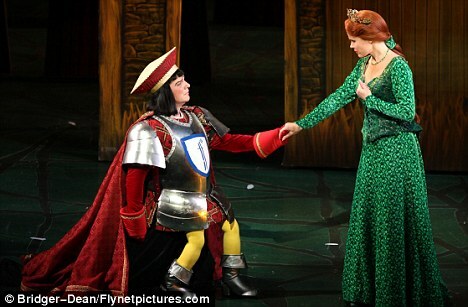 But it’s Nigel Harman who really steals the show. 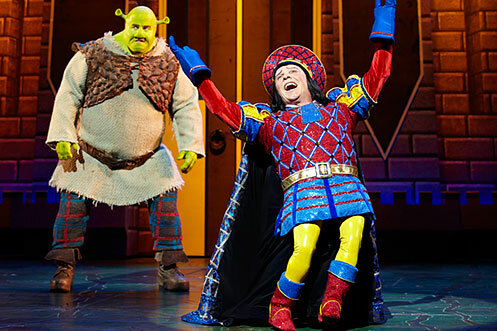 His Lord Farquaad had the audience in tears with his expressions and dance routines – as the midget meglomaniac he spends the entire time on his knees – the poor guy deserves a medal. Incidentally he has a fine singing voice and any memories of his former self in Eastenders are completely forgotten.